The biggest tax here in Portugal when you buy a property is called IMT (Imposto Municipal Sobre Transamissoes) it is payable when you do the deeds and is calculated as a percentage of your purchase price, there is a variable discount against your percentage that is also dependant on your purchase price, don’t worry if it’s confusing we can explain it much clearer for you in person. Usually paid either in advance or 50/50 dependant on the lawyer and the work involved at the beginning, Lawyers fees are broken in to lots of different sectors such as, Conveyancing, Fiscal Representation, Golden Visa Acquisition and Non- Habitual Residence Application. As your taxes payable will be dependent on your purchase price, it is difficult for us to put a number on it until you have chosen a property of interest so as a rule if you allow 8% above your purchase to cover everything you shouldn’t be far away. 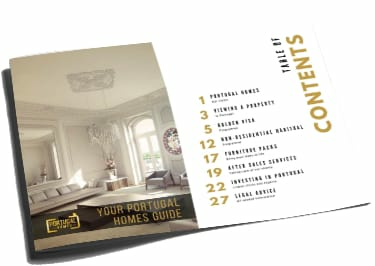 If you would like a full breakdown of all your taxes when buying and renting in Portugal then please download our comprehensive Guide to Portugal which includes everything needed when buying here along with all our advice.